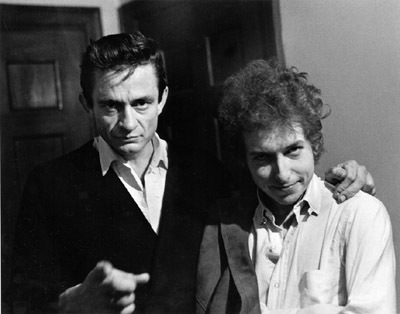 The session on February 18 was devoted exclusively to duet covers with Cash. “One Too Many Mornings” and “I Still Miss Someone” were revisited, and rejected, yet again. 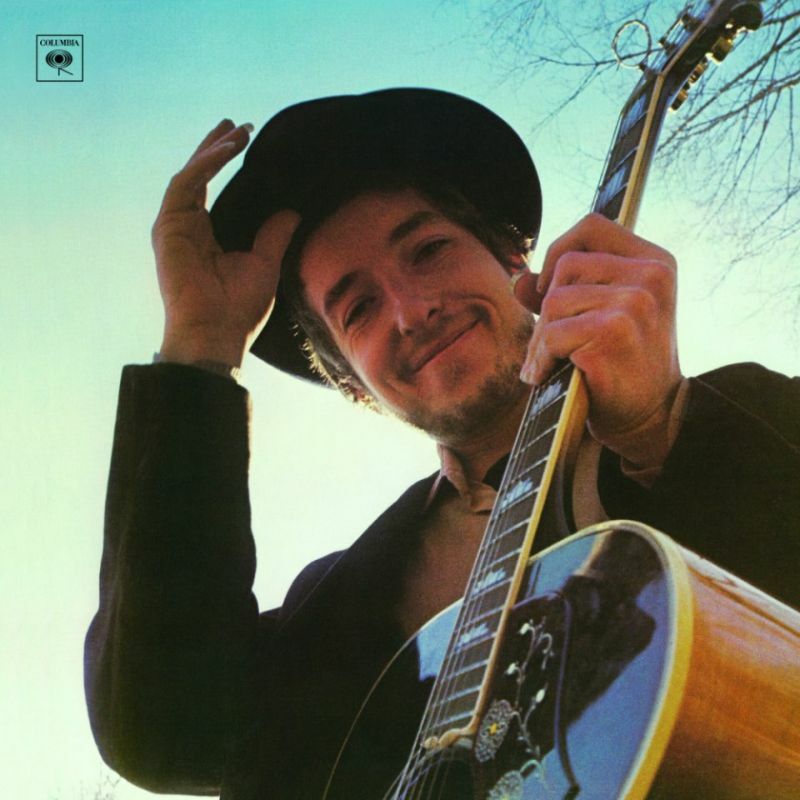 “Matchbox”, “That’s All Right Mama”, “Mystery Train”, “Big River”, “I Walk the Line”, and “Guess Things Happen That Way”, all made famous by celebrated Sun recordings performed by Carl Perkins, Elvis Presley, and Cash himself, were all attempted on February 18, but none of these were deemed usable. 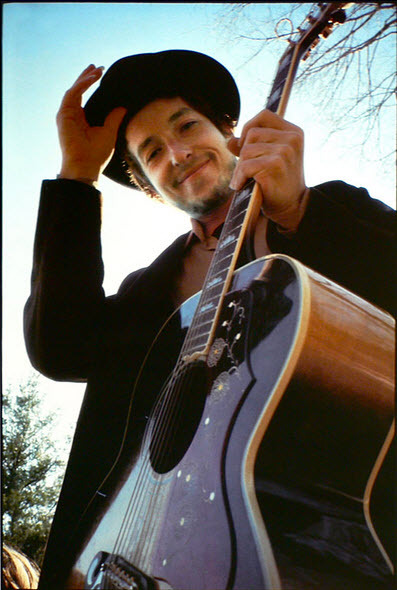 Covers of Jimmie Rodgers’ “Blue Yodel #1” and “#5”, Cash’s “Ring of Fire” (written by his wife, June Carter and Merle Kilgore), “You Are My Sunshine”, “Good Old Mountain Dew”, the traditional ballad “Careless Love”, the traditional hymn “Just a Closer Walk with Thee”, “Five feet high and rising”, and “Wanted Man” (a song written by Dylan specifically for Cash) were also attempted, and all were rejected. 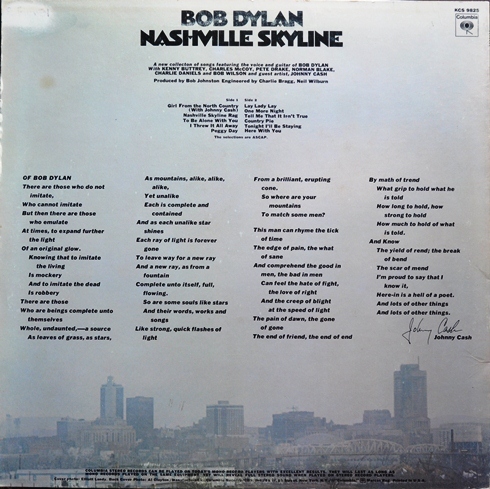 There was little enthusiasm for any of these tracks, but one duet of Dylan’s, “Girl from the North Country” (which originally appeared on The Freewheelin’ Bob Dylan), was ultimately sequenced as the album’s opener.